Sort through GoJane.com's "Formals Under $60" section to find a great party dress without breaking the bank. GoJane.com, an online fashion store that's well-known among frugal fashionistas as the place to get dirt-cheap designer-inspired shoes, also carries a small selection of rather decent formal dresses under $60. I'm not saying all the dresses in this category are winners, because some of them are quite bad indeed even by clubwear standards, but a remarkable number of the dresses are not only wearable but surprisingly chic. Just use a very discerning eye to sort the good from the bad, and you could surprise yourself with an amazing party frock for very little cash. Paired with carefully selected accessories, many of these dresses could work for prom, summer weddings or graduation parties. See my top 6 picks after the jump. Evoke the beauty of the sea with Elsa Peretti's Starfish pendant, $275 at Tiffany & Co.
Get the look for less with this Apt. 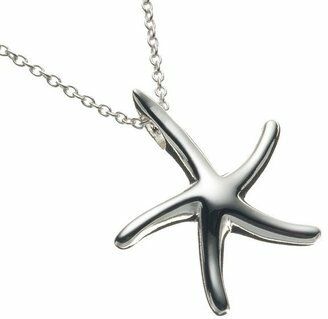 9 sterling silver starfish pendant from Kohl's instead, just $40. Click any image to shop!